Born in Guadalajara Jalisco, he developed his love of art drawing cartoons for the local papers. Once he made a name for himself he joined David Alfaro Siqueiros, Armando de la Cueva, Xavier Guerrero and others in the Centro Bohemio. Motivated by the artistic ideals of the time he moved to Mexico City and in 1921 traveled to Belgium, France and Spain. In the latter he organized an exhibition of his work. Upon his return he was commissioned to decorate the vestibule of the Guadalajara Public Library. 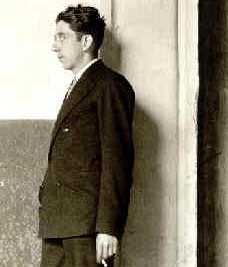 His first solo show was held in 1928 and in 1931 he co-founded with Carlos Merida the first modern art gallery at the Palacio de Bellas Artes. In his work we see influences of many different kinds such as Jose Clemente Orozco, Dr. Atl, Roberto Montenegro, Luis de la Torre, Velazquez, Goya, Picasso among others. Orozco Romero knew how to take vague ideas and synthesize them to make great art. In 1939 he was awarded a scholarship by the Guggenheim Foundation to study in New York City. After that, in 1951, he had a large exhibition at the Palacio de Bellas Artes in Mexico City and in 1958 he entered the Venice Bienal. Later he was director of the Modern Art Museum and a professor at the Esmeralda Academy in Mexico City. Orozco Romero's work is held in many Museums and private collections around the world. He died in Mexico City in 1984 after being awarded the National Arts Prize.